Julian Almaraz, 67, of Evans, went home to Heaven on April 6, 2018. Julian was born in Bakersfield, California to Julian S. & Felisiana (Herrera) Almaraz on May 22, 1950. On September 24, 2005 in Ridgecrest, California, Julian married the love of his life, Beverley (Price) Almaraz. Julian loved riding his Harley Motorcycle, traveling over 100,000 miles in ten years with his wife by his side. Riding wasn’t just a way of life for Julian, it gave him life. 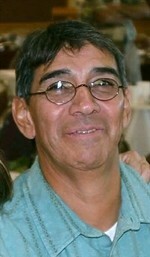 Julian was a member of the Destiny Christian Center of Greeley & the Christian Motorcycle Association. Julian is survived by his wife; children, Christopher Witty, Arnold (Amy) and Matt (Lacee) Cantu; grandchildren, Cameryn Nina Cantu, Joshua, Keenan, and Corbin Cantu; siblings, Maria Almaraz, Vickey (Albert) Torres, Gloria (Joe) Merjil, Sara (Bob) Brown, Julia Almaraz, Joe (Brenda) Almaraz, and Flora Almaraz; and a large loving extended family. A private family Celebration of Life will be in the Summer of 2018. To send flowers to the family of Julian Almaraz, please visit our Heartfelt Sympathies Store.